Worried of logging into your account every time for viewing your ticket status, re-sending SMS, re-sending email confirmation, refund status, etc. Don't worry...we have put an end to this tiresome process. Its just the miracle of "ONE CLICK" @ eTravelSmart as all the information you would want to have is just at your finger tips. Get complete information of your ticket by just following our link which is just a click away. 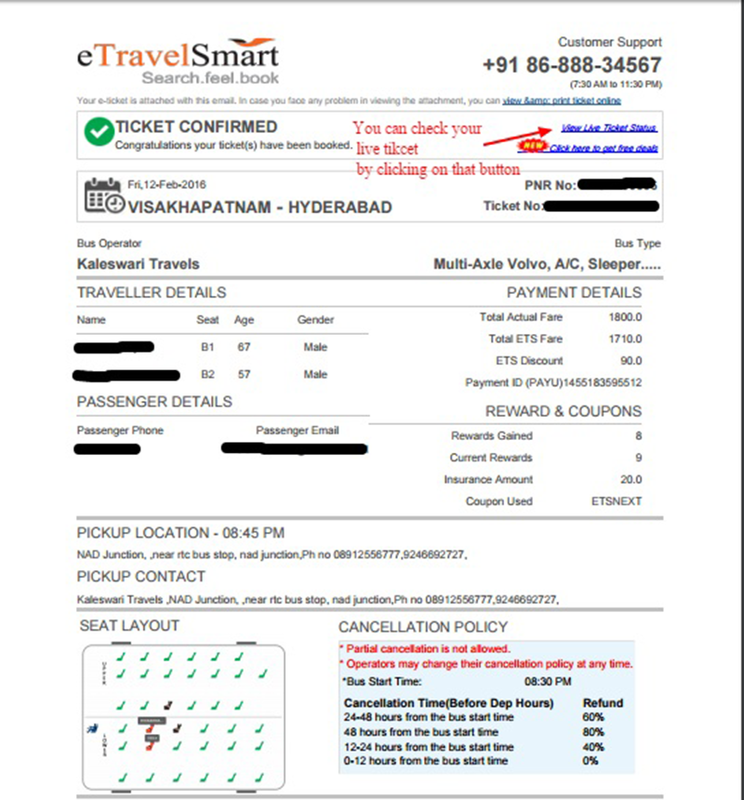 Not only you get your ticket status, but re-send SMS/Email confirmation and even cancel your ticket on the same page without navigating much. Get detailed information about your bus journey by using Live Bus Ticket with one click. Passengers are able to access their Live Bus Ticket from Ticket Details in My profile Section at any point of time.